The WAC (Written Assessment of Case) is essentially a 24hr assignment, handed out 4PM Friday afternoon and due 4PM Saturday afternoon. It’s an achievable 1500 words (excluding appendices), but the biggest challenge seems to be in coming up with valuable insight, keeping under the word limit, and collating meaningful appendices. The WAC’s reputation precedes it - I’d heard plenty about it before arriving here. With that short introduction, I’ll attempt to give you a quick hourly update over the next 24 hrs. Wish me luck! 3:30PM Friday afternoon. We receive the WAC in 30mins. Work on other topics started this morning at 0730 after a late night, so things aren’t optimal. For the next 24 hrs I’ll be relying on my years of studying Strategic Coffee Consumption in the Global Business Environment (SCC). I hope to gain a professorship on that topic in later life. With 30mins to go I’ll quickly brush up on cash flow statements, ratio analysis and variance analysis. WAC received. Topic = consideration of hostile takeover of GSK by KKR (both are major pharmaceutical companies). Report required for CEO and board of KKR, analysing 2013 annual report of GSK and financial statements. Our team has split up for 60mins to read the case material. Team has regathered, had a few clarifying questions, tried to fumble out some meaningful insights, but did more fumbling than 'insight'ing. Will start calculating all the ratios we can think of, because that seems the logical thing to do. Reasonably successful stream meeting. Haven't shared notes with everyone, but clarified a few technicalities, got a couple of ideas for additional insights, and verified that we're not too far off the money. Separated into groups. Gary and Ranjit clarifying ratios and compiling calcs. Craig, Anuradha and Michel working on appendices - showing working of ratios and citing assumptions. Tensions rising. Some members' work more complete than others (probably due to workload, but objectivity lost at this stage), and wanting to move on. Some members unwell, and a level of snappiness has set in. Team review of final calcs complete. Not necessarily complete team cohesion. More work required on presentation of calcs for appendices, but generally all happy(ish) with the numbers. Calling it a night. Remaining appendix work split up. Some more numbers / formatting work to do in the morning, but suffering from a late night the previous night. Driving home to bed. Breakfasted. Showered. Travelled. Claimed computer. Cursed Macbook (separate grievance). Gary's found a possible calculation error. Coffee. Calculation error reviewed. Agreed on one correction. Not agreed on another. No time to argue, finishing touches on appendices to complete. Appendix work done, although waiting on final input from others. Where have the last 2 hours gone??? Haven't written a word of the report; realise priorities haven't been well managed. How do these numbers become words??? Will read last WAC quickly to get in the writing mindset. Coffee. Report writing commenced. Additional time spent collating appendices. Reasonable report structure complete, basic intro section written, opening sentences of each other section drafted. Reasonable progress on report. Written 600 words, although will edit heavily at the end if time permits. Busy morning. Lunch break. In fact, after mindfulness session yesterday, am calling this a Lunch and Smile Break. On some level this is a lot of fun. Spring in step on the way to sandwich purchase. Getting there getting there getting there. Exec summary drafted. Final appendices in. Focussing on completing essential tasks before trying to fine tune. Couple of good ideas won't fit into the report. Nobody will read about the interesting z-value!!! Stop stop stop! Must upload! Uploading to Turnitin. Submit? YES YES! Oooooooooooooooh baby! Well that was crazy. No word from teammates for a couple of hours. Did they make it? You know what? This is a fun way to do assignments. Well, 'fun' is not the right word. It's good though. Intensive, but now it's 4:05, heading to pub for a pint with other spent souls, and am pretty happy with the final submission. It won't change the world, it contains good and bad bits, but it's a satisfying result under the circumstances. 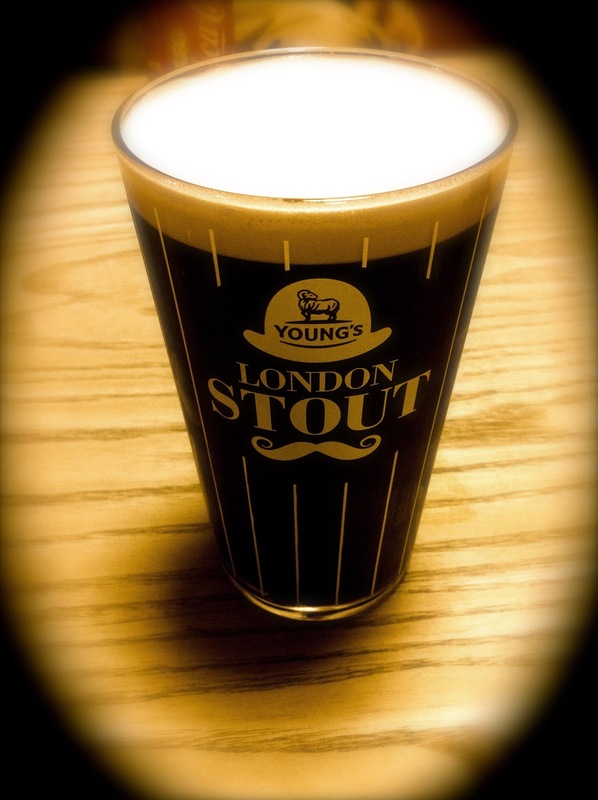 London Stout, you little ripper! *References to swearing are for effect. I'm a professional. No chance of any help from alumni (optimised or not). Didn't know Cranfield had changed the WAC deadline - when I was at Cranfield it was 9pm Saturday evening. Not that it would make any difference. WACs expand to fit the deadline time (minus exactly 2 minutes). Did they tell you the famous legend about the guy who broke his leg trying to hand in his WAC on time - in the olden days when they went in the box? At least you get more time for the post WAC wind-down.